From boy troubles to wardrobe dilemmas, first dates to embarrassing parentals - Agony Queen Amy Green is back in her fifth novel, solving problems for pre-teens everywhere! 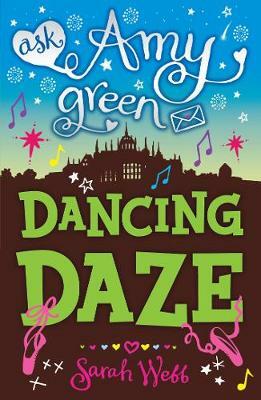 Dancing dilemmas... Mills's ballerina sister has just landed the role of a lifetime - but something is very wrong with the young dancer. A worried Mills begs best friend Amy for help. How can Amy refuse, even though she has Big Problems of her own to solve? Luckily, Clover is happy to lend a land. And saving Dancing Divas is all in a day's work for the intrepid twosome.